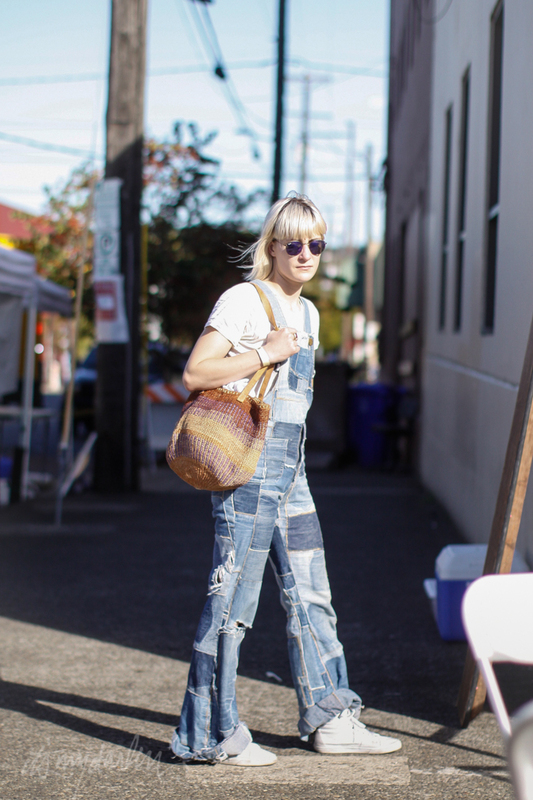 Beth Ann sells vintage clothes in Portland. Her shop is called Zero Wave and you can find her at Portland Flea, on Etsy and on Depop. 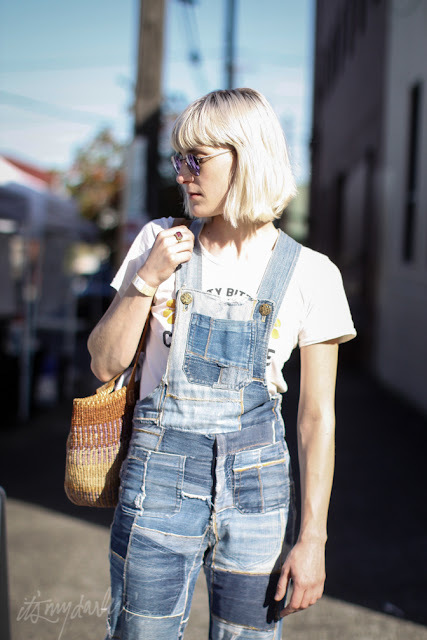 Beth Ann's overalls were a vintage find and her t-shirt is by SugarHigh LoveStoned.